For a luxury brand with only a handful of properties, Trump talks a big game. But then again, talk is what Trump specializes in. 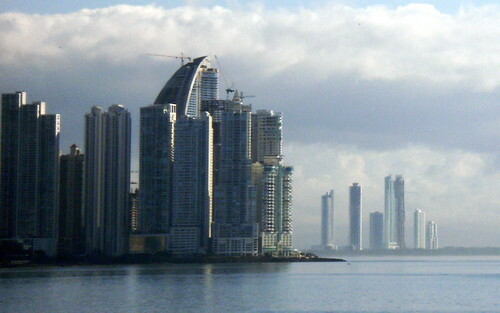 The Trump Hotel in Panama was the company’s first international hotel. Photo by Bruce Dailey. The Trump Ocean Club in Panama City, the company’s first hotel outside the U.S., is attracting guests even after a boom in hotel construction in Latin America’s fastest-growing economy, he said in an interview in Panama City yesterday. The International Monetary Fund cut its economic growth forecast for Latin America and the Caribbean for this year and next as the global environment deteriorates. The region will expand 3.2 percent this year and 3.9 percent in 2013, compared with the previous estimates of 3.4 percent and 4.2 percent, the Washington-based lender said Oct. 9 in its World Economic Outlook. Brazil will expand 4 percent next year, compared with a 4.6 percent estimate in July, while Mexico’s forecast was lowered to 3.5 percent from 3.6 percent. Editors: Bill Faries and Philip Sanders. To contact the reporter on this story: Eric Sabo in Panama City at esabo1@bloomberg.net. To contact the editor responsible for this story: Joshua Goodman at jgoodman19@bloomberg.net.